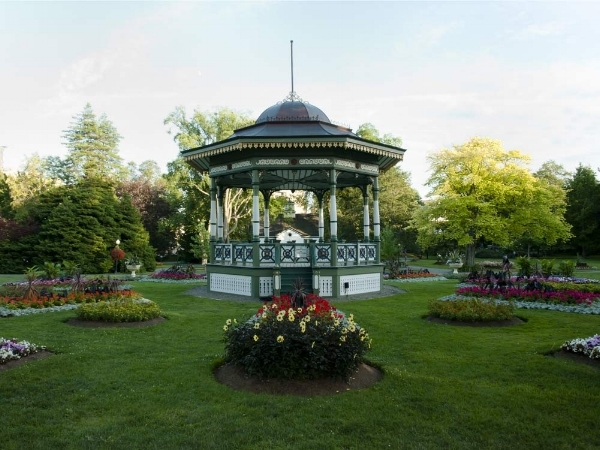 The Halifax Public Gardens are a proud member of Canada’s Garden Route. The Garden Route is an invitation to discover 50 magnificent gardens, including two of the “Top Five North American Gardens Worth Traveling For”. From Halifax to Victoria, garden lovers worldwide can enjoy the most astonishing gardens this country has to offer. 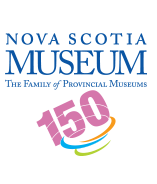 The Nova Scotia Dahlia Society co-hosts an annual Dahlia Festival at the Gardens. This exciting and informative event features expert discussions on successfully growing Dahlias, tours of the Dahlia beds and demonstrations by floral designers. It is a hugely successful and entertaining event which takes place at the end of August or early September. Check our Events Calendar for festival dates. 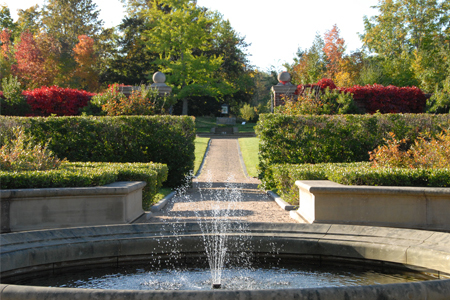 The Halifax Public Gardens is the only Garden listed among a wonderful grouping of Parks. Explore the inner beauty of the pyramids. Inside the pyramids, three biomes are in the Conservatory’s year-round displays. A fourth pyramid houses creative feature displays, changing up to eight times a year. The Muttart Conservatory preserves and grows one of Canada’s largest botanical collections, and shares knowledge and enthusiasm with visitors.